Last night we were pummeled by heavy rain and gusty winds mixed with lightning and thunder. 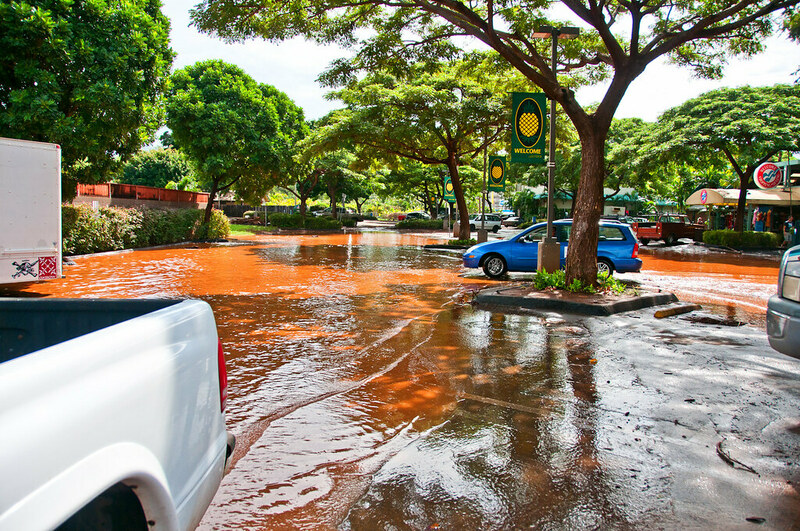 South Maui was hit worst and early this morning, some said that many parts of North and South Kihei road was like a river. 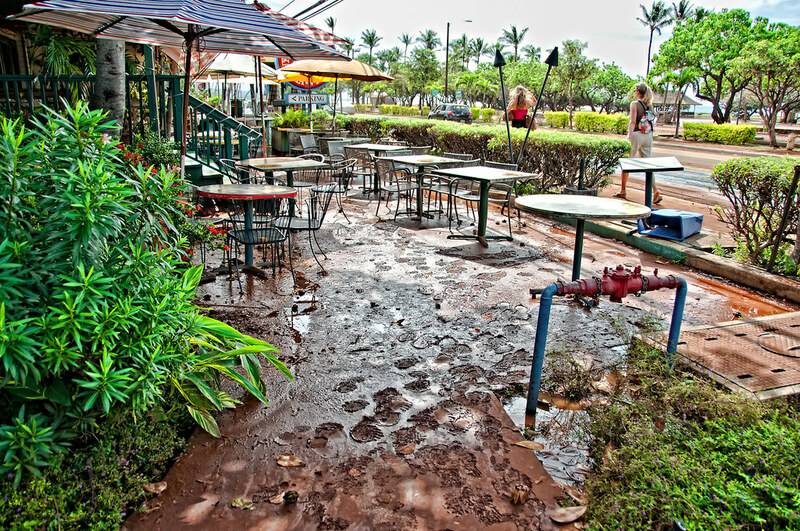 At noon today I was at the area of Kalama Park (which was still about ankle deep in water) and there was mud all over even across the road. Below are a parking area of a tourist favorite shopping area and in front of a restaurant. No problems in our area in Waiehu, just Bandit, our papillon dog, who was shaking like a leaf almost all night because thunder, lightning, and firecrackers freak him out.